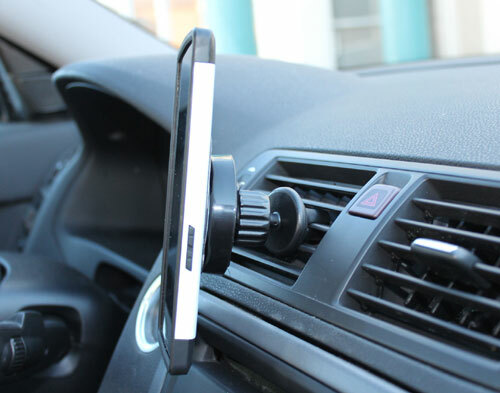 GROM Magnetic Air Vent car mount uses magnets to hold your phone or GPS in place. 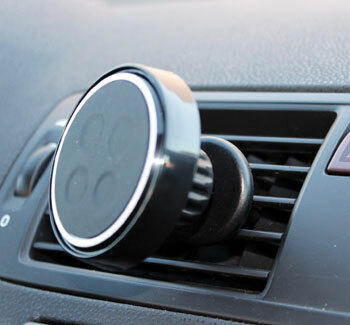 It can be mounted safely and securely on the air vent of the vehicle, and will not obstruct the view. 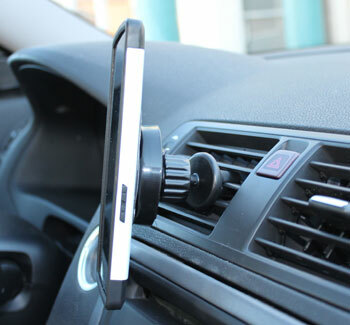 GROM Magnetic Air Vent Car Mount will hold devices encased in covers and cases. Prevents devices from scratches and falls and provides easy accessibility to the mounted device. 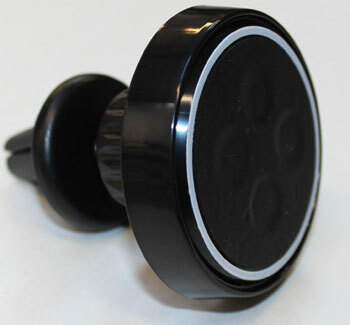 The holder is an ideal solution for hands free calling or navigation with your phone. Self-adhesive metal clip (included in every package) has to be attached to the back of your Smartphone / GPS system or to their cases in order to use it with GROM M-MAVM. This practical mount model allows the driver to interact with electronic gadgets conveniently and without obscuring visibility. It is easy to mount and release your phone. 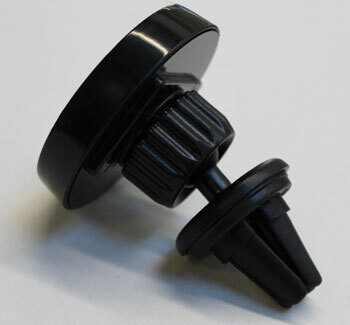 Simply clips onto any air vent-vertically, horizontally or at an angle. 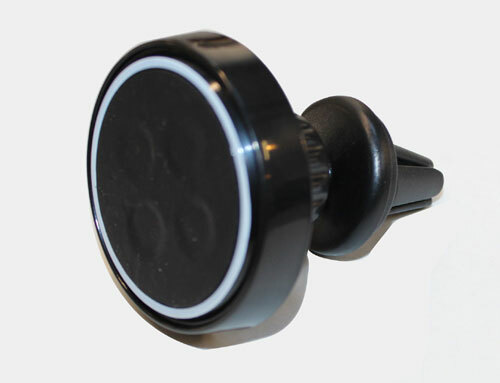 Powerful magnetic mount, with ergonomic design.